The floorplans are as accurate as can be when our only source of reference is brief glimpses of strange angles filmed for the screen :) Feel free to download the floorplans and use them to aid in your writing. You may like to translate the Vancouver postal address to a Colorado Springs location :) Daniel lives in apartment 8-3 (shown clearly in The Light as Jack enters the apartment) and the Vancouver address of this building is 562 Beatty Street. 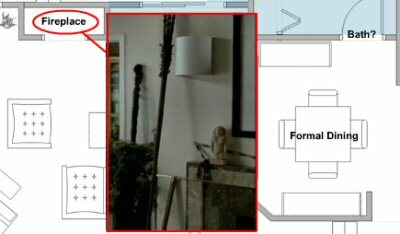 Take an interactive Flash tour of Daniel's loft. Click on the graphic below and roll your mouse over each area of the loft to see an appropriate image. Click the graphic below to open the larger image, which you can right mouse click to save to your hard drive.